If you find yourself asking, "Can a person shop around for cheaper PMI insurance?" it's likely you're trying to save money when buying a home. The short answer to this question is no. The reason why is because there are pretty set-in-stone rules about how PMI -also known as private mortgage insurance- works. 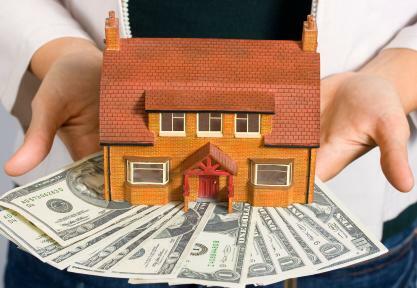 The purpose of PMI is to protect the lender in case the borrower defaults on the mortgage. Usually, you have to pay PMI only if you cannot put 20 percent down at closing. This is because statistics show that if you don't have a large down payment you are more likely to eventually default on the mortgage. The lender automatically adds your PMI charges to your monthly payment. You are required to pay PMI until you can prove that you own at least 20 percent of the equity in your home, either because you've made enough mortgage payments or your because home has increased in value enough that you have a 20 percent gain. With 5 percent down, you can divide your mortgage amount by 1500. With 10 percent down, you can divide your mortgage amount by 2300. With 15 percent down, you can divide your mortgage amount by 3700. More specifically, if you buy your home for $200,000 and you put a 10 percent down payment on it, you have a mortgage of $180,000. Take that 180,000 and divide it by 2300 and you get a monthly PMI payment of about $79. While your PMI will probably not be exactly this, it is a good estimate. Can a Person Shop Around for Cheaper PMI Insurance? Pay extra on your mortgage each month, and request that the lender put that extra toward the principal as opposed to toward the interest. Get your home reappraised if you feel that it has significantly increased in value. A good way to gauge this is to take a look at what houses in your neighborhood that are similar to yours are selling for. Refrain from taking out a home equity loan or line of credit. This will only decrease the amount of equity you own in your home. If you want to take advantage of the low interest rate, eliminate that PMI first. In some cases, you can get your lender to finance your PMI upfront in one lump sum in exchange for a higher interest rate. This may or may not save you money. You should speak to your lender about this option before signing on the dotted line.